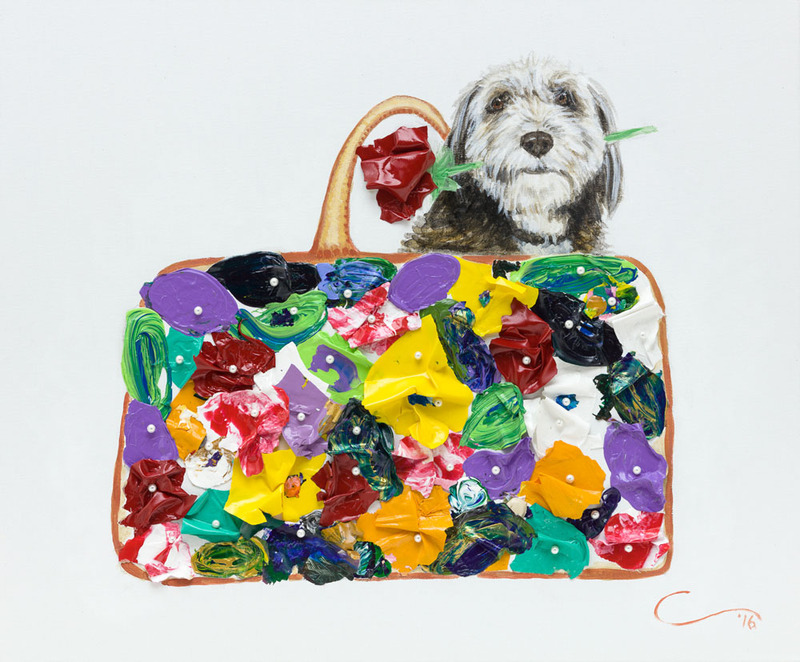 This endearing subject is somehow iconic in its balance of the bag with a panoply of colored flowers with its lovely and loving occupant. Cano has presented this puppy in a “set piece” – holding a rose in its mouth, as an offering full of devoted affection. 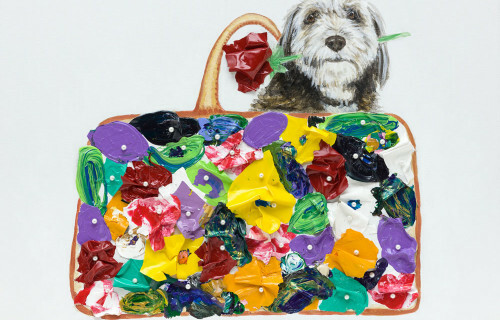 By having the diminutive pet connected visually to the handle, it’s “mission” is fully expanded so as to make the poetic red rose, the floral handbag, and the puppy itself all make a compound tribute –to what is evocative as well as beautiful in the world. DIMENSIONS – 20 x 24"